The zombie apocalypse has come to our games Disney Princess you transform our princesses in terrifying zombies. We Cinderella, Elsa, Ariel and Tiana as models for you to try all the costumes you find on our guard clothes. You find the scariest clothes you can imagine, very similar to those that look in horror movies. In addition, you can change your hairstyle and add accessories like crowns and other hair ornaments. Make up princesses with face paints that scary like a zombie. 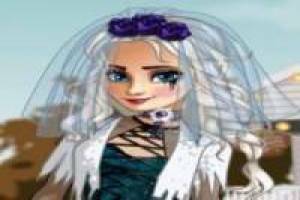 Enjoy the game Dress up the Disney Princesses in appalling, it's free, it's one of our disney princesses games we've selected.